Ok I just have to write this when I am physically still in heaven. 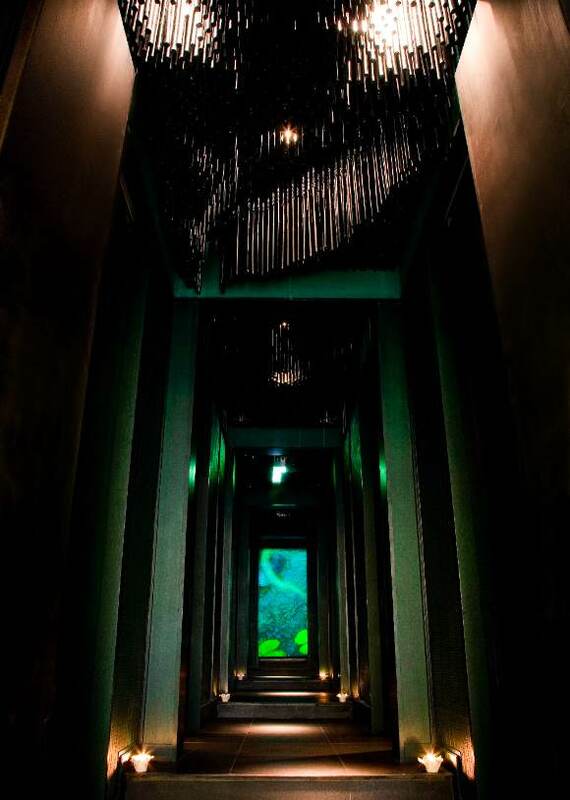 This afternoon I had my forth massage / spa treatment on my fifth day in Bangkok this week. Amazingly, the four treatments so far are all focused on different problematic areas, and every single one of them works its wonders. Some people may think it’s a lame excuse, but I always believe that we need to treat our bodies right, whether it is eating tasty food, or better yet eating the right and nutritious food, exercising, and relieving all its aches and pains from the daily chores and pressures of life itself. Without a fit body, even the brightest mind can’t do anything. Not anyone can be Stephen Hawking, period. Among a million other reasons, having the luxury and professional resources to pamper my own physical and mental wellbeing is what I love about Thailand. The Thais truly understand how important it really is to revitalize our bodies using the most basic herbs and the art of natural therapy. Aside from traditional Thai massages, aroma massages, and healing stone massages, there are tons of personal products containing the best herbs and essential oils you can find on the planet. Lemongrass, lavender, rosemary, shiso, peppermint, eucalyptus, and the list goes on. 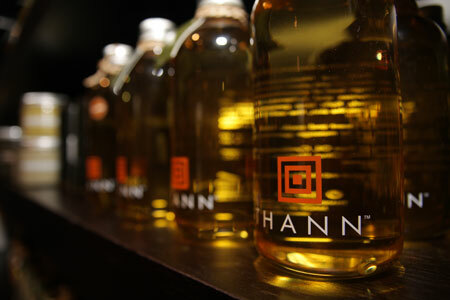 I have been a fan of the Thann brand for a long time. Every time I am in Thailand I will stock up on supplies. I know there is now Thann in Hong Kong, but there is just no comparison visiting the holy temple from where this all originates. Even though I just bought a load in my last trip here in November last year, I still found myself hypnotized to visit its store on my second day in the city. In the new arrivals section, I found this cutest little electric incense diffuser that I couldn’t say no to. I haven’t used my incense burner for some time, probably due to the mess of candles and the scary thought of burning my apartment down in the middle of the night. Now with this unit that diffuses aroma by ultrasonic oscillation without heating or burning the essential oils, it feels safer and also maintains the original effects of the oils at the same time. Alright, with the new diffuser, comes a replenished supply of large size (50ml) essential oils. I picked their Flower & Vanilla blend oil (lavender, rosemary, geranium), Enigmar blend oil (rosewood, rosemary, marjoram), Mediterranean Floral oil (lavender and rosemary), Sea Foam oil (peppermint, thyme, rosemary and eucalyptus), and Woody Floral blend oil (orange, cedarwood, ylang ylang, tangerine, bergamot, clove, sandalwood), enough to make my whole apartment floor smell like a spa center. In addition, I also bought a gift set that contains three small size (10ml) oils of Sea Form, Oriental Essence (lemongrass) and Aromatic Wood with potpourri. One more Mediterranean Floral Natural Flax Seed eye mask and essential oil that offers heated pressure relief on the eyes, all added up to a huge heavy bag of soothing goodies for me to bring home and indulge in the next few months. No that’s not enough. To thank my apparently generous patronage, the store gave me two huge sets of gift boxes that contains at least a dozen samples of body gel, shampoo, conditioner, lotions and soaps in each. I don’t think I will ever finish it all, but it will be welcoming gifts for just about everybody. The storekeeper asked me when I would be leaving Thailand, which was a question I did not expect. 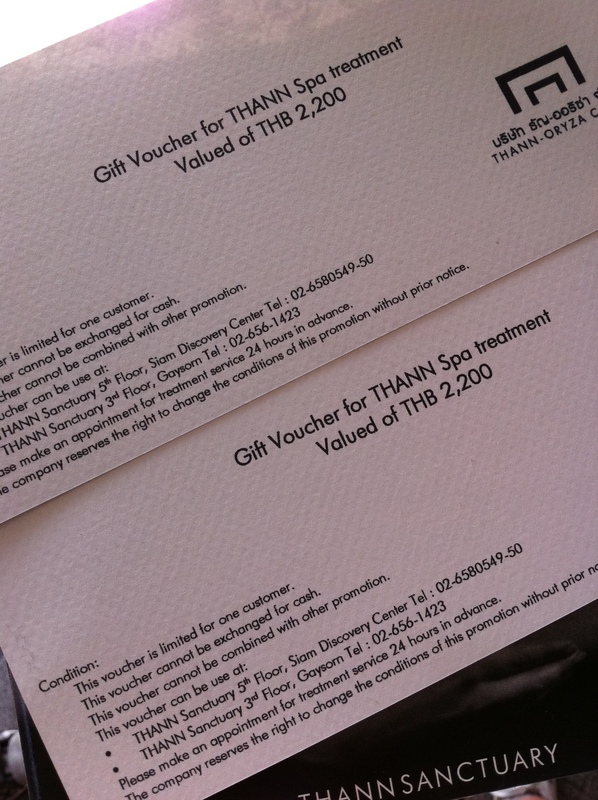 Turned out he gave me two gift vouchers to their renowned Thann Sanctuary which is worth any spa treatment of THB2,200 each. That is good for a 2-hour spa treatment of just about anything. I didn’t expect this. What a pleasant surprise. For a spa and massage maniac like I am, this is literally like a further 30% off my entire purchase. It was indeed marketing investment well spent on their part. 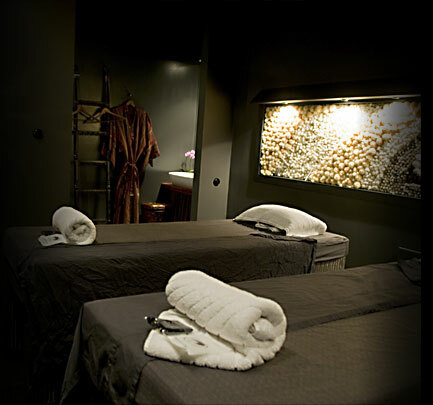 After enjoying the 2-hour Thann Sanctuary Signature Massage with my local friend, I have to admit it is by far the best spa treatments I have ever had, and that includes 5-star hotel spa experiences. I think aside from the massage techniques, the fact that they couple with their signature oils and products, and that its small establishment provides the coziness that no fancy grand hotel spas can compete with. While I am wholeheartedly recommending the place to my friends, I hope that it will forever remain to be a small-sized hidden gem that provides individualistic services to its customers. 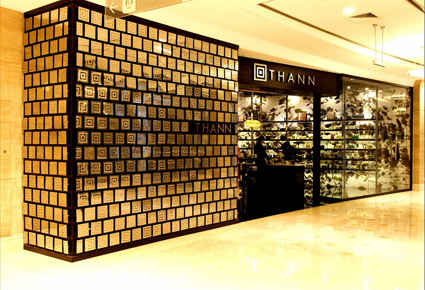 And I also just found out that they have a Thann Tea Cafe in both Gaysorn and Paragon, as well as a florist. What a great lifestyle brand. If they continue to offer sincere marketing promotions to its customers, I am sure it will convert many more of them, not that they have not already, into loyals, like I do. A healthy and balanced body brings a healthy mind. And a healthy mind brings fortune in life. Not a great saying perhaps, but it’s my saying.